Every website needs a catchy address. And to get one, you need to know how to buy a domain name. Luckily, domain registration has become quite a simple procedure nowadays. It’s also one of the first steps you need to take when you start a blog or create a website. Choose a reliable domain registrar (like Hostinger). Find a domain availability checker tool. Pick the best available option. Verify the ownership of your new domain. Below, we’ll overview each step in a more in-depth fashion and present a few tips and tricks to ease the whole process. Psst! You can also get a free domain name with annual or longer website hosting plans. This is a great way to get all the ingredients required to publish a website! Do your research. It’s important to study your niche and to know what the average user wants. Being aware of the most popular keywords and search terms will let you find a domain name that’s best suited to represent your project. Make it catchy and easy to remember. Don’t go for something that is absurdly long or difficult to pronounce. A catchy and short domain name will greatly increase the chances of visitors remembering your website name. Go with .com if possible. 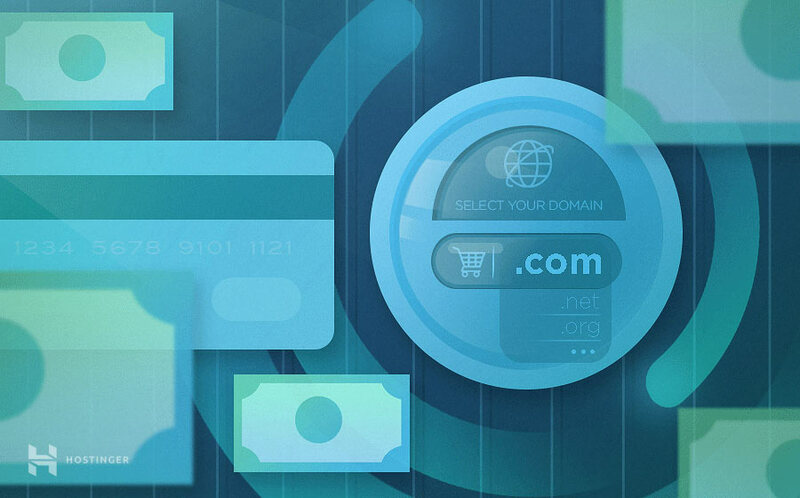 Currently, .com is taking a firm stand as the most popular domain name extension. Thus, it’s a good priority when buying a domain name, as most web users will easily recognize it. Check for trademark infringement. To avoid any legal issues, it’s best not to register a domain similar to popular, well-established brands. You can use various online tools to look up trademark information and avoid such situations. Avoid numbers and hyphens. While numbers and hyphens let you create more domain name variations, they can sometimes do more harm than good. For example, people can mistake the number zero (0) with the letter (o) or the number (2) for a word (two). Hence omitting numbers and hyphens may be a good idea. Look for close alternatives. If you already have a domain name in mind, think of possible mistype variations to make sure all the potential traffic reaches you. A great example would be amzon.com which takes you the main Amazon website, or fb.com which goes directly to Facebook. Research social media platforms. Once you have a rough draft of your domain name, look it up on popular social media platforms like Twitter, YouTube, Instagram or Facebook. Even if you’re not planning to do anything with them at the start, reserving a page for your project will ensure it’s not taken by someone else. Think future-proof. Websites and domains are a long-term investment. Hence revolving the name around the most overhyped thing at this very moment might not be the best approach in the long run. So don’t be afraid to think outside the box! Discuss your ideas. If you feel like picking the right name for your website is the hardest choice of your life, perhaps you need some help. Present your ideas to friends, family, colleagues. Who knows, they might give you that golden nugget of advice that you’re looking for. Now that you know how to pick a proper domain name, you might be wondering how to purchase one. To get a domain name for your website, you’ll need an ICANN accredited registrar (such as us). Depending on your chosen domain extension, the registration fee can range between $0.99 to $92.99. Below are 5 steps that cover the domain registration process in more depth. The journey of buying a domain name starts with an availability lookup. In fact, we have the perfect tool to check domain vacancy here on Hostinger. FAQ: What if my desired domain name is taken? Go for another domain extension. In case .com is unavailable, you may opt for others such as .xyz; .net; .org and many more! Try a longer version. Adding a simple word such as “the”; “my”; “a” and similar can help get the result you want. Reach out to the current owner. However, in most cases, you will need to offer a fairly high sum of money. Now enter your desired name in the search field and take it for a spin. The domain checker tool will present you with a list of available options that you can register. Once you locate a name that you like, proceed with the registration by pressing Add to Cart. 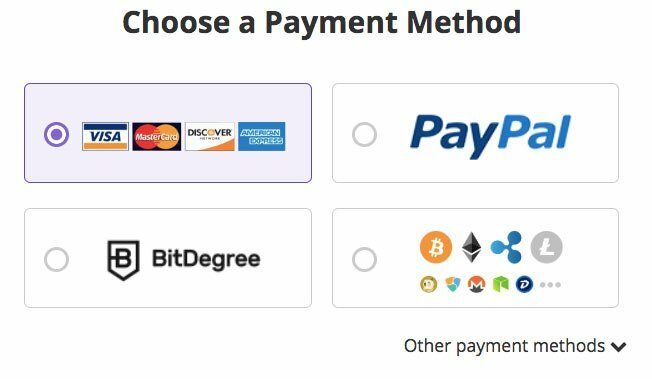 If you’re not planning to look for more variations, proceed with the checkout and you’ll be able to choose a payment processor and complete your transaction. As soon as you complete the domain payment, you’ll be redirected to the control panel. 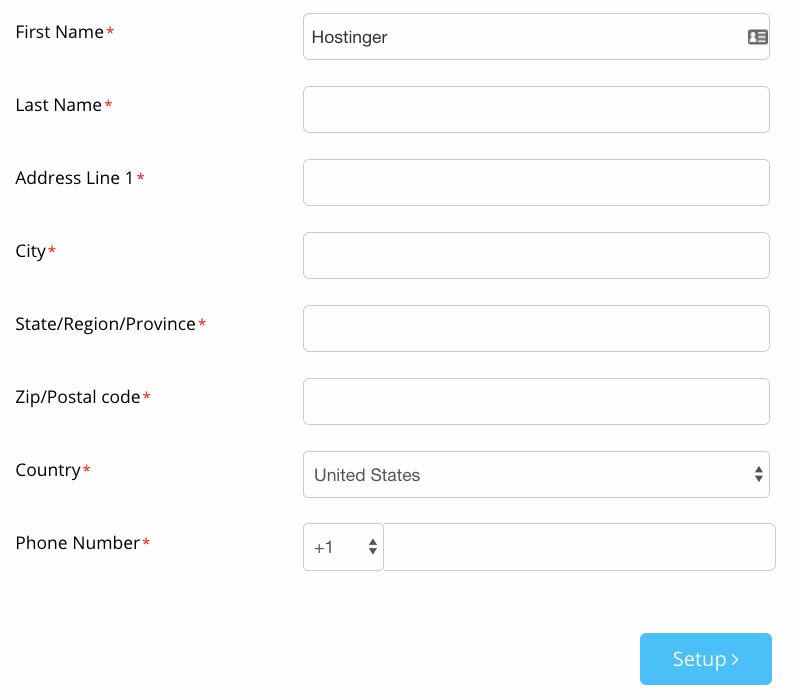 Inside, you’ll find the setup box to complete your domain name registration. Make sure to fill in all the fields with the correct details, as they will be stored in the official domain ownership database called WHOIS. After you submit your details, the domain registration will be processed and you’ll only need to follow one last step. FAQ: Can I modify the domain ownership details? Yes, you’ll be able to do it using the domain management section within your control panel. Once the changes are made, you will have to confirm them via email. Keep in mind that it may take 24-72 hours for most WHOIS databases to display the updated details. The final step of your journey is to verify the domain ownership through the email address you used while registering. It usually arrives within a few minutes after finishing the domain setup. In case it’s not arriving, you can re-send the request from your control panel. We recommend doing it immediately, as waiting for 15 days or more will lead to a temporary suspension from the registry. Congratulations! You now know how to buy a domain name and complete the initial registration process. FAQ: I forgot to verify the ownership of my domain. What do I do? In case your domain got suspended, simply visit the email you used during registration and complete the verification process. Keep in mind that it may take 24-48 hours before the domain is back to full functionality due to DNS propagation. You cannot say that you know how to buy a domain name without knowing where to get the best deals. 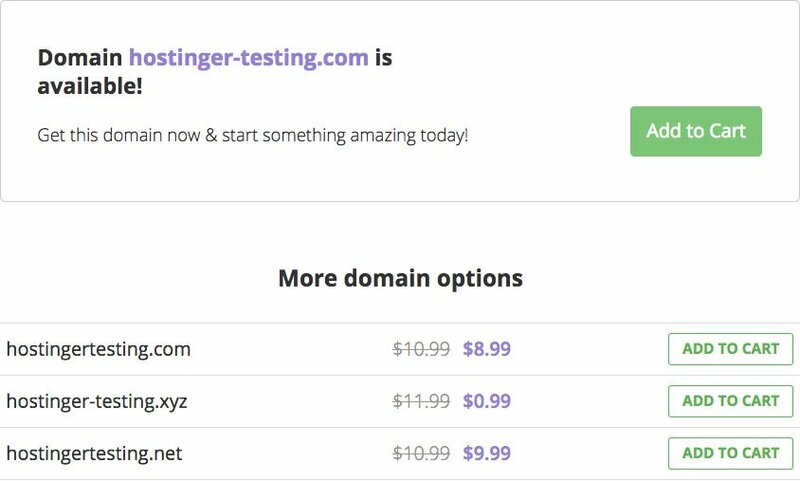 On Hostinger, we offer over 100 unique TLDs (and that number is always rising) with prices starting as low as 99 cents for the first year! FAQ: I want to buy a few domain names and have them display them same content. Is it possible? It surely is! If you’re using our web hosting platform, parking the domain through your control panel will be enough. In case you want to host different content, use the addon domain section instead. 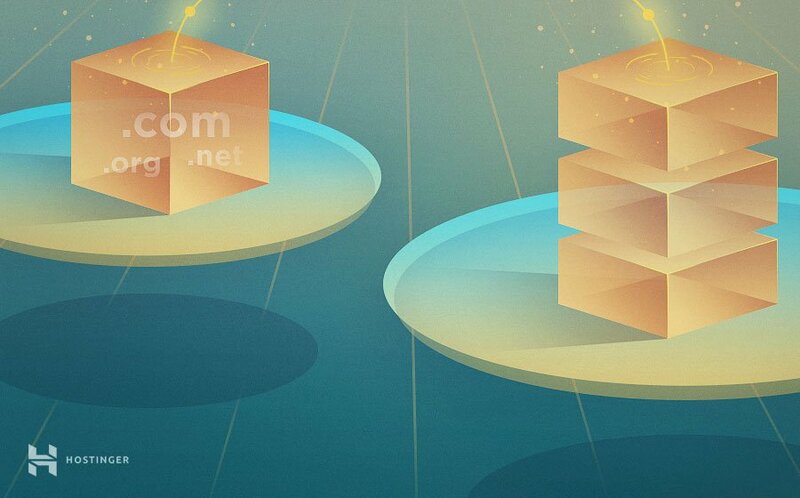 In both cases, you will need to point the domains to Hostinger. In this guide, we have learned how to buy a domain name on Hostinger. Though buying domain names is the easy part. The real challenge is thinking of a good name and picking the right extension. And once that’s done, the whole website building journey awaits! We hope the tips highlighted in this tutorial have eased the process. In case you have any additional questions, drop us a line in the comments! Selecting a domain/blog name is difficult because it requires a lot of concentration and market research. That’s true! Picking the right domain name will take you miles ahead of the competition. While a bad domain name can leave your website unnoticed.